It takes more than just words to report what it feels like to be abused, when it gets to be reported. I’ve been abused, verbally. For some individuals who have been born into this world to impact positively into the society, its worse; its child abuse. Child Abuse, though, the word is hardly flaunted in today’s society; it and its causer are rapidly increasing every day all over the world. What makes an abuse and its victims difficult to deal with and work on is that they are both misted to the contemporary society and at some point; the victims cultivate an intense dislike for both themselves and humanity. 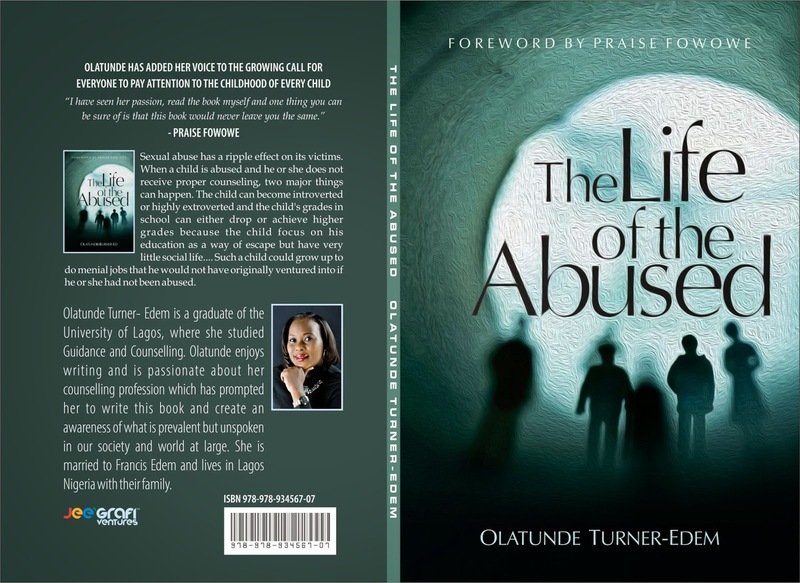 The Life Of The Abused is the second book of one of Nigeria’s most engaging authors Olatunde Turner-Edem – Published by Jee’grafi Ventures. The Life Of The Abused exposes the possibilities and life’s occurrences that depicts child Abuse in our current society. What is second hand abuse? What could happen if a child is sexually abused? What guessable sign shows someone is under the extremities of child Abuse? I know you have more questions because I’ve often asked too until I read this book. This book opened my eyes to the reality of child sexual abuse and made me understand my role in fighting it. You really need to read this book! Spiced up with eye-opening true life stories that will glue you to the spot; these stories will (and is intended) to make you pay close attention to your children, wards, friends and most especially families and neighbors, cueing you to the dangers and harassments they could be facing while you are away.